Marco is the President and Chief Legal Officer of Blockchain, the world's largest software platform for digital assets. Known as the "Dean of Digital Currency Lawyers," Marco is a recognized authority in the law and policy of block chain technologies. 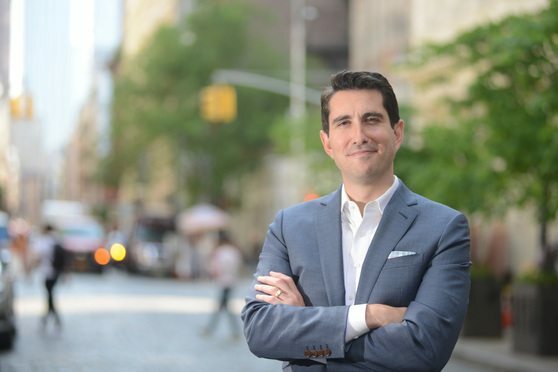 Prior to his move to Blockchain.com, as a Partner at both Cooley LLP and Pillsbury Winthrop, he counseled banks, broker-dealers, exchanges, wallets, payment providers, and other companies making new and exciting uses of distributed ledger technology. Marco counseled his clients primarily on the money transmission and securities laws, including anti-money laundering regulations. Marco is an author of the SAFT Project Whitepaper, responsible for the first self-regulatory effort for token sales (also known colloquially as ICOs). He is an advisor to the International Monetary Fund, the Blockchain Ambassador to the State of Delaware, and was the Chairman of the Regulatory Affairs Committee of the Bitcoin Foundation. He has been quoted by Bloomberg, the Wall Street Journal, Forbes, Coindesk, Washington Post, The New Yorker, Wired, Entrepreneur.com and Crain's New York Business. When I reached Marco Santori by phone on a recent afternoon, he was walking around Manhattan’s SoHo district, and he sounded tired. “I’m beat,” Santori said, adding that it had been a long week. It was only Tuesday. Blockchain's Marco Santori Talks Regulation, SIM-Swap Hacks, and Binance's New Toy. A podcast on blockchain tokens, the BitLicense and good policy around crypto. A podcast on the role of the lawyer in the crypto project. Testimony before the Financial Institutions and Insurance Committee, hearing on Bitcoin, Digital Currencies and Blockchain technology. Toward a Compliant Token Sale Framework. The seminal whitepaper on the application of the securities, tax and money services laws to token sales. A three-part series of articles on the law of Bitcoin, focusing primarily on the application of state and federal money transmitter laws, compliance strategies and avoidance techniques. A three-part series of articles on the law of token-based networks focusing on the Howey Test and US securities laws, more broadly. Bonus introduction to the SAFT framework. A Op-ed in support of the Office of the Comptroller of the Currency's proposed Limited Purpose Banking Charter for Fintech companies. An early vision of blockchain-based share ownership, governed by decentralized consensus. Describes the goals of the Dealware Blockchain Initiative. A rebuttal of the FUD surrounding accusations of liability for proposing, publishing, mining and supporting forked open-source software like Bitcoin.